"The Swan collection represents a living military history laboratory of the American Revolution. 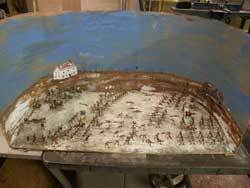 Over 700 original objects interpret the era, circa 1745 through 1789. Open Wednesday through Sunday, year round. For more information, call (609) 737-9303." 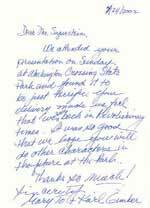 As taken from the Washington Crossing Park Page. Stanley provides historic presentation, preservation, and restoration services for H. Kels Swan's personal collection, only a fraction of which resides in the park museum. He specializes in providing presentations for the museum focusing on revolutionary war battles, equipment, and soldiers utilizing the available artifacts for demonstration. Having served as a member the Board of Directors, Stanley helps oversaw the collection and pursues Mr. Swan's dream of expanding the first dedicated Revolutionary War museum in the nation. The Swan Foundation recently accepted a proposal from the State of New Jersey to establish a permanent museum in Washington Crossing Park. Fund raising efforts are underway, and plans include a new website with detailed profiles of portions of the collection. Contact Artisans or the Swan Foundation directly to arrange for corporate or private grants or contributions. 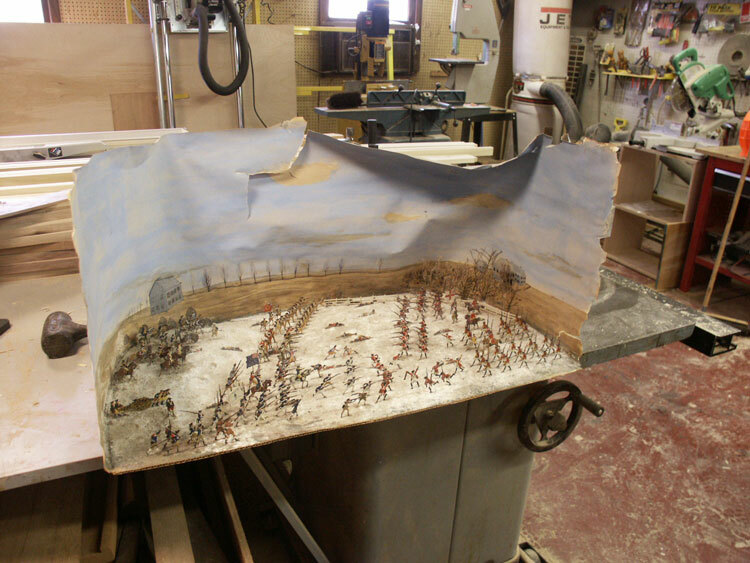 Revolutionary War - Window Diorama - This was a reasonably simple project - the diorama background was crushed during years of neglect. A Stanley painting project, the background isn't worth anything special and was not only torn and crushed but beginning to show significant signs of deterioration. Replacement was the most resource effective option, so a new background was painted. These eclectic projects keep us entertained with seemingly unlimited diversity. Completed for the Swan Foundation in Washington Crossing Park, NJ. 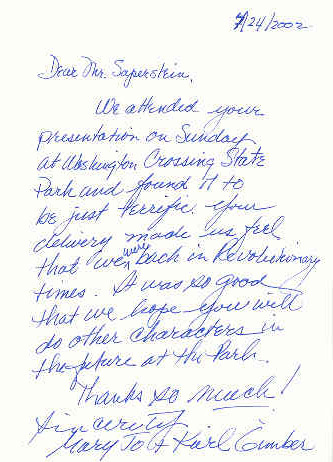 Stanley's Feedback from a recent presentation at Washington Crossing Park. A kind note is always appreciated!